The train that is Key4050 cannot be stopped right now. The powerful side project of John O’Callghan and Bryan Kearney is coming out with a massive 32-track double disc album on February 15. 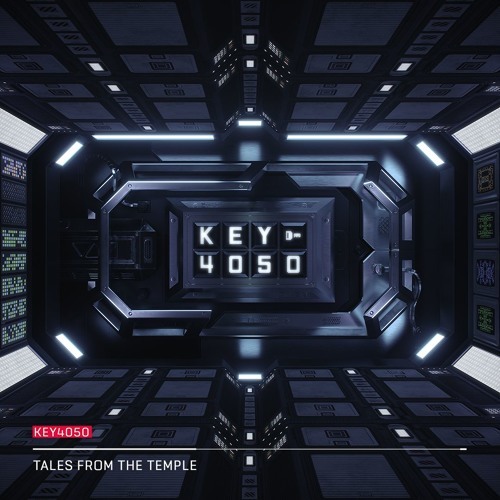 Key4050 Tales From The Temple is poised to be the largest trance release of the year. Now, we get the first taste of what they have in store for us. The first four tracks have been made available via pre-ordering the full album. After making their anticipated debut at Dreamstate SoCal 2017, fans have been clamoring for more from the duo. Always playing “ID” tracks and teasing a full album for months, the time is finally here. Myself and @bryankearney are proud to announce our debut album as Key4050. ‘Tales From The Temple’ is a double CD containing 32 original tracks spanning across multiple genres. Building it up as “energy redefined,” the album will span multiple genres across trance, techno, progressive, and many others. They have made two of the tracks, ‘Birch‘ and ‘Finkle and Einhorn‘ (a shout-out to the Ace Ventura movies), available on Soundcloud. The rest will have to remain a mystery for now, but everyone is on the edge of their seats waiting to see the result of their time in the studio. With their massive live sets and stunning visuals sweeping festivals globally, this release comes at an amazing time for Key4050 fans. They absolutely smashed their time slot at EDC Mexico back in February. With these two stars in the driver’s seat, February 15 cannot get here fast enough. You can listen to both tracks below, as well as view the full tracklist for Key 4050 Tales From The Temple. Set your calendars for February 15 today! Previous article[Interview] AC Slater Discusses New Collaborations, Projects, & More!